SuNMaP is an £89 million UK aid funded project that works with the government and people of Nigeria to strengthen the national effort to control malaria. The programme began in April 2008 and ends in March 2016. SuNMaP worked with the Nigerian government's National Malaria Elimination Programme (NMEP) to harmonise donor efforts and funding agencies around national policies and plans for malaria control. Project targets were aligned with the National Malaria Strategic Plan and Global Malaria Action Plan. The project aimed to improve national, state and local government level capacity for the prevention and treatment of malaria. Led by Malaria Consortium, SuNMaP was jointly managed by partners Health Partners International and GRID Consulting, with nine other implementing partners. SuNMaP was implemented in 10 states across Nigeria, including Anambra, Kano, Niger, Katsina, Ogun, Lagos, Jigawa, Enugu, Kaduna and Yobe. 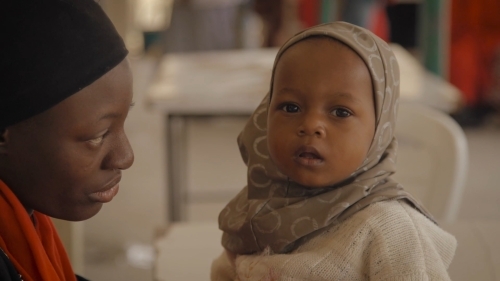 This film highlights the impact of eight years of activities that aimed to improve malaria outcomes and strengthening the health system in Nigeria.